Susan Pigg, a business reporter for the Toronto Star, recented published the following article regarding the red hot rental market in Toronto. I’ve also included a link to the most recent rental market report from the Toronto Real Estate Board. “The “seemingly insatiable” demand to live close to downtown has driven condo rents to a new high of $1,875 per month and shows no signs of letting up despite a surge of new units coming on the market. 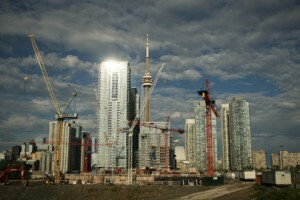 A record 6,541 GTA condos were rented via the MLS system in the third quarter of 2013, up an unprecedented 39 per cent from the same time last year, says condo market research firm Urbanation in a new report released Friday. By the end of this year, a total of about 20,000 condo units, most of them in the City of Toronto, will have been rented largely to young professionals keen to live near work and major transit lines.